This Michelada beer cocktail is the perfect beverage for armchair athletes to sip while watching football on TV. 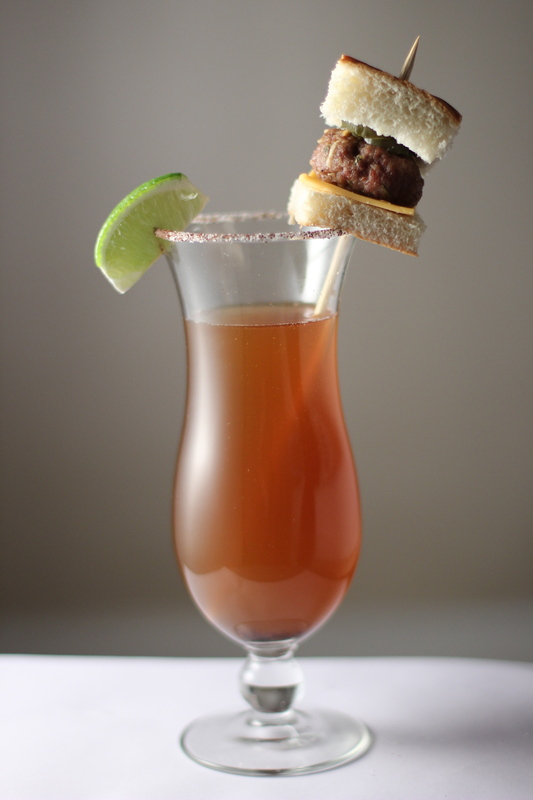 Team this spicy beer cocktail with this mini slider and you have the perfect couch potato combo. Make this for your man next sports Sunday and you will score a taste touchdown. Combine meat, soup mix, egg, pepper, salt and breadcrumbs in a large mixing bowl and mix well. Shape mixture into 24 small patties. Arrange about 1 inch aparton baking sheet. Bake about 10 minutes until no longer pink in the center. Flatten hamburger buns with a rolling pin and cut each one into fours. Place each patty on a bun along with a pickle and top with the other bun. * You can prepare these patties up to one day in advance and keep in the fridge. Cook just before the big game. 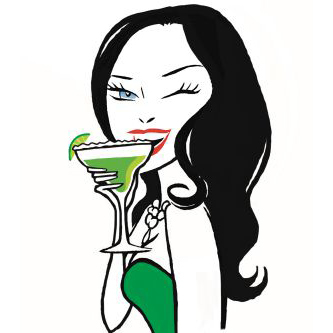 Previous PostGet the Valentine's Day Vibe Cocktail!